An artist's rendering of the new pavilion. Hot cocoa not included. 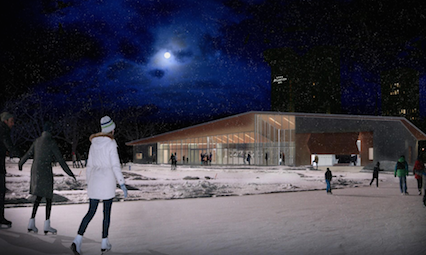 Feast your eyes on the swank new multimillion dollar pavilion set to rise up beside the Oval next winter. 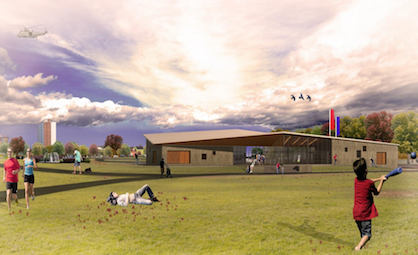 Approved by city council earlier this week, the building is part of phase two of the Oval’s construction on the North Common. Once complete, it will house equipment, staff offices, washrooms and skate rental and sharpening facilities. The pavilion will replace the temporary trailers next to the Emera Oval that currently provide those services. The pavilion. But not the Pavilion. Fewer punk shows here. Though councillor Matt Whitman balked at the pavilion’s $2.5-million price tag, the tender to lowest bidder Seagate Construction Inc. was approved at Tuesday’s Regional Council meeting 15 to one. When complete, the new pavilion will be approximately 6,750 square feet. About 2,000 of those square feet will be dedicated to covered outdoor space. 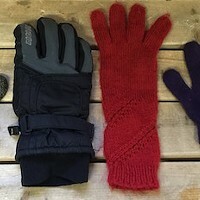 The rest will be indoor, heated space. The whole building will host outdoor and indoor programs and activities for the public year round. According to city figures, there were 135,000 Oval users last year. The new pavilion is scheduled to be completed by the end of November—just in time for skating (and Beaver Tail) season. Via Jennifer Watts On Twitter. $2.5-million facility will soon open to the public. 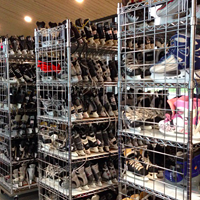 Halifax's skating hotspot is a trove of forgotten gear.